Unfortunatelyy, you can buy expensive equipment and still take bad photos! 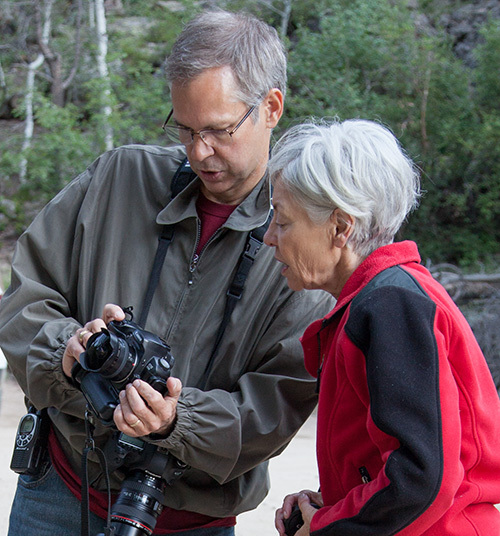 Your most important photographic investment is in learning how to use your equipment well. The key is to learn how to USE your camera and lenses most effectively. In addition to my classes/workshops, I offer private instruction! This option provides the ultimate in personalized one-on-one attention to your specific needs and interests, while best fitting your particular scheduling requirements. I can do private instruction on a wide range of topics! Various Genres of Photography, Landscape, Nature, Wildlife, Portraiture, Real Estate, etc. Other Interests? Just ask me. "I am the definition of a beginner when it comes to photography but Kevin was extremely kind and patient. I was worried that the amount of information would be overwhelming but the way he structures his lessons and the manner in which he teaches makes it not only easy to understand but keeps you focused and wanting to learn more. 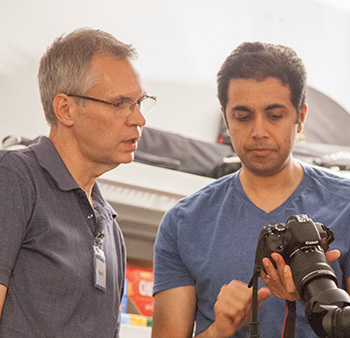 His passion for photography coupled with his wonderful teaching style make his classes the perfect addition to anyone starting out in photography or for those wanting to expand their skills." "The direct learning was both beneficial as well as a great time saver. I could have perused multiple books and instructional videos and still not come away with the studio education that Kevin provided. Most definitely worth the time and expense. " "Transitioning from film to digital is a monumental task in itself. After a lifetime of enjoying photography, I found that I was not shooting much at all, mainly because I was very intimidated by Lightroom. I attended four hours of private Lightroom lessons with Kevin and I immediately began to feel the intimidation melt away! I felt that I would learn and retain more information in a private one-on-one setting, where I could ask all the questions that I wanted. This was definitely the ticket to a more thorough understanding of the subject matter. Kevin has obviously mastered Lightroom, both at the basic and advanced levels and is now graciously passing on his knowledge to some lucky students. Some folks are born teachers and some born photographers, but the accomplished photographer who can also teach is a rare gift indeed. Kevin is a great teacher. He is very inspiring and patient and I am certain that I will build on the basic knowledge that he has passed on to me. Without hesitation, I can definitely recommend the private lessons. I thoroughly enjoyed my short four hours absorbing Kevin's knowledge and I am sure that I will be back for more!" "Kevin provides amazing private instruction for those who desire a deeper level of understanding. He taught me how to set up my lighting equipment to achieve spectacular results! In just 2 hours I learned what would have taken me months of reading books. Do yourself a favor and sign up today!" You can purchase the time in blocks of 2, 4, 6, 8 hours, or more, and can use the time however you want. For example you could use a 6 hour block as 3 two hour sessions. Pricing shown is for sessions at my studio at 11740 Jollyvlile Suite 400 in Austin, TX. OR I can come to you or meet you at a park or any other location! If you would like me to come to you, add $45 for each trip (within a 20 mile radius of my studio). Or I can travel anywhere. Just inquire about added fees for longer distance travel. Topics Covered: Virtually anything photographic! Make it a fun small-group learning experience or photographic outing! If two students want to share a teaching session together, it does not cost you twice as much. You can add an additional student for an added 30%. So if two students wanted to learn together for 4 hours of teaching, it would be $460 + 30% ($138) = $598. Or if you wish to share the learning experience with multiple students (more than two), just add 20% for each additional student. If you have 3 students sharing 4 hours it would be $460 + $92 + $92 = $644. 4 Hours $460 Save $20! 6 Hours $660 Save $60! 8 Hours $800 Save $160! 10 Hours $1000 Save $200! 12 Hours $1200 Save $240! ** Special 16 Hour Option: This special option is for those who want the ultimate photographic learning experience and are ready to start by learning a firm foundation of the basics (which I believe is essential in order to do great photography). This is done in a one-on-one teaching environment at my studio. We can pace the teaching at YOUR pace and according to your schedule, and after we have covered the fundamentals, we can dive in deeper into special areas of interest you have. This Special Option can include up to three trips to locations (area parks, your home, etc.) within a 20 mile radius of our studio, to do more hands-on learning and critiquing of your progress along the way. What an opportunity! You can use our 1100 square foot studio to do your own photography using our Photogenic monolights, softboxes, umbrellas, reflectors, and backdrops, with Kevin there to oversee and help you with setup and advice on how to get your own great shots with your camera. You retain rights to the images created for non-commercial use. Rate: $120/hr (2 hour minimum) for one photographer. For a 2nd photographer, add just $60/hr. For more photographers sharing the session, see the 'Multiple Students' section above. Provide your own model, or Kevin can line up models for you for an added fee. Also, if you need a hair/makeup artist, Kevin can line that up also! For arranging private tutoring, please Contact Me and I can provide a link to a web page where you can pay online, after we discuss your specific needs and scheduling.